Yes, my loves, I know I've still been scarce in my posting lately. Someday I will rectify that (and you can expect a Burt Reynolds photo essay early next week in honor of his passing), but for now this is the best I can do. What with a Labor Day weekend trip, scads of work awaiting me upon my return and the horror of a public shooting here yesterday, I've been a bit overwhelmed. 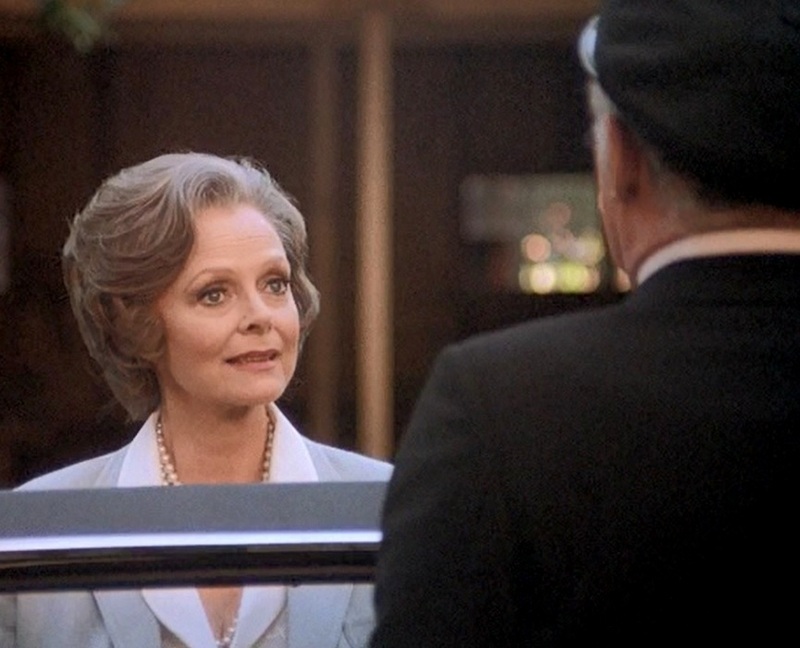 Today's guest star feature is from a 1981 episode of Magnum, P.I. Recently, I picked up all 18 season one episodes of this series for the princely sum of $5.00 plus tax and have been working my way through them. While Magnum is not exactly the type of show I usually turn to in terms of tone and in the type of guest stars who appeared, it does have its bonuses, from the stunning Hawaiian locale to the hirsute charms of a thirty-five year-old Tom Selleck. In this installment, we meet a pair of young lovers on the beach. While not exactly From Here to Eternity (1953), there is a tinge of that sort of flavor to the moment. We soon discover that these two are deeply in love, but kept apart by circum- stances. 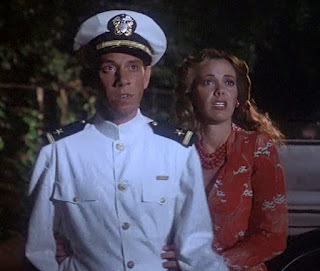 She is a prostitute at a local club while he is a sailor, due to ship out on a battleship. You may (or may not) recognize these young actors as Anne Lockhart and Miguel Ferrer. Cut to present day. 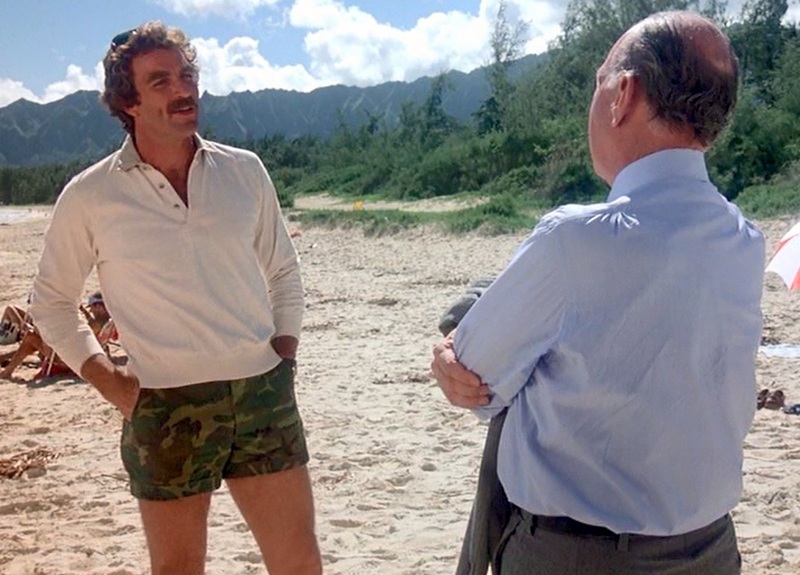 Tom Selleck (the Thomas Magnum of the show's title) has been hired by an exacting and rather mysterious Supreme Court judge nominee. The man wants Selleck to locate a person and discover what became of them lest a long-buried issue might come forth and bite him just as he is about to ascend to America's highest court of law. The appointee is played by José Ferrer, the Oscar-winning movie actor (for 1950's Cyrano de Bergerac), director and theatre legend. 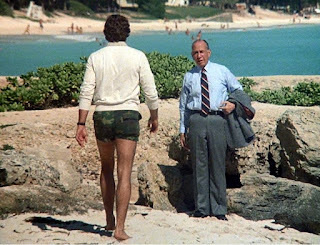 He was the father in real life of Miguel Ferrer who, in this show, portrays his younger self! The woman he wants to find is the young lady he'd once made love to on the beach. 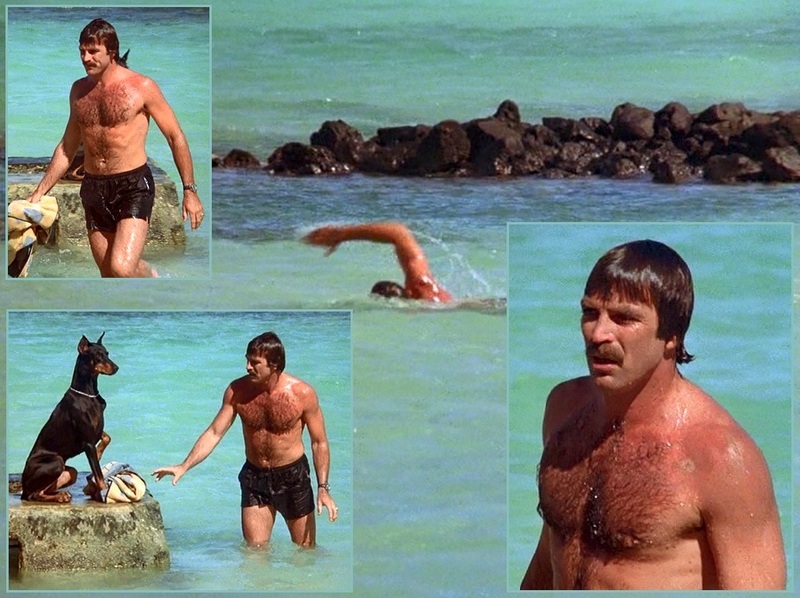 We interrupt this regularly scheduled broadcast for a glimpse of the hunkalicious Selleck taking a swim in the tidal pool of the estate on which he lives in the show. Why? Because why the hell not. He's positively gorgeous! Meanwhile, a lady of high standing on the island is informed that someone is poking around in the past. Her chauffeur tells her of a man visiting Hawaii who is looking for the woman who used to be in love with him and then went missing during WWII. 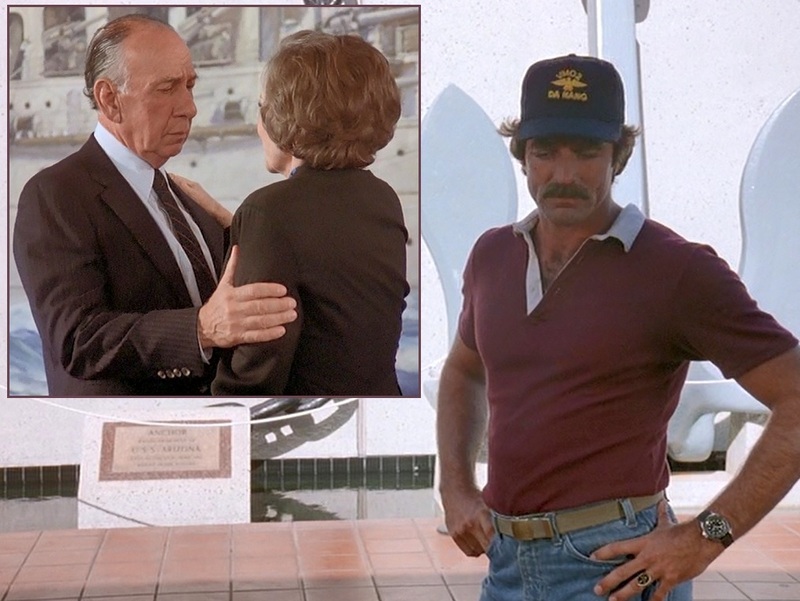 Selleck tries to jog Ferrer's memory by taking him to the old dance hall where he once met and fell in love with his girl. Ferrer will have none of it as the memories are too painful. Turns out, on the night that he went to collect his bride and spirit her away, he was confronted by the madam of the establishment who crudely informed him that his lady friend was contracted to work for her for two more years, but that he could visit her at a discount if he wished. After a scuffle with one of her henchmen, the pair dart off and are soon separated by the advent of war. 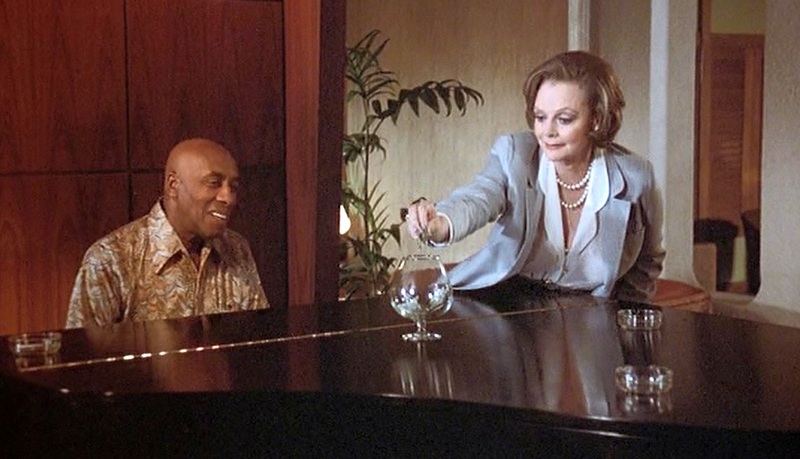 Back in the present day, we see the socialite paying one of the old entertainers at the club to give false information to Selleck as he continues his investigation. 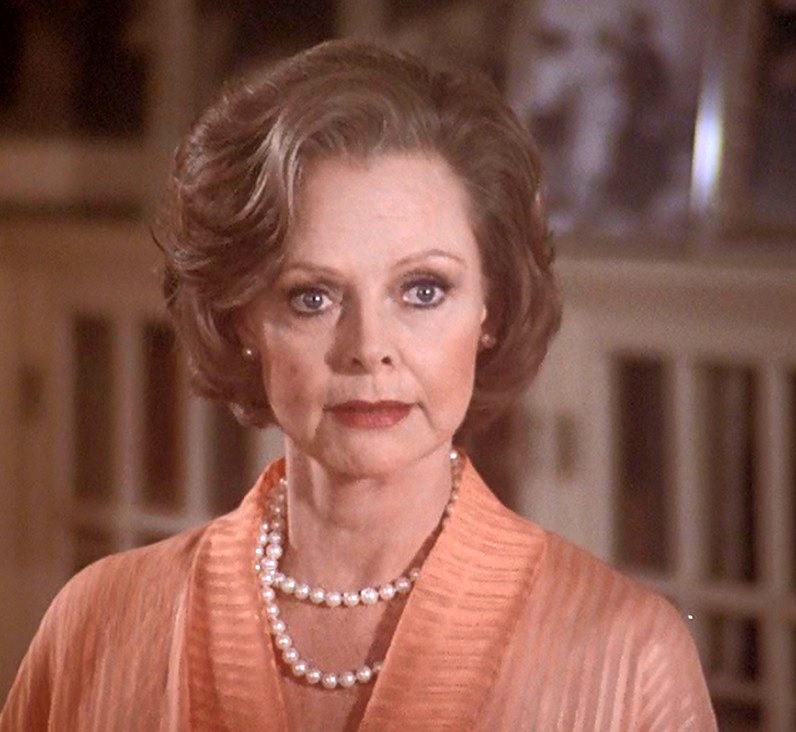 The socialite is played by June Lockhart, who is, naturally, the mother of Anne Lockhart. So, again, we have a parent playing the older version of themselves in this episode. 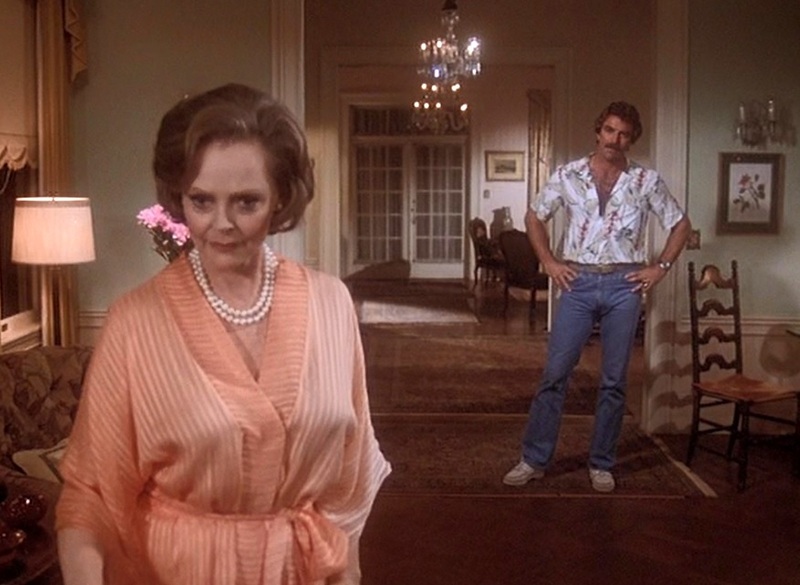 Eventually, (humpy) Selleck snakes her out regardless of her efforts to remain anonymous. He discovers that, after Ferrer's ship was sunk (the U.S.S. Arizona), she changed her life, married a prominent figure and has been living as a wealthy widow in recent years. Selleck (and his jeans) is able to spring on her the fact that her long lost love (husband, in fact, since the two did wed before being separated) is actually not dead at all. He is still alive. 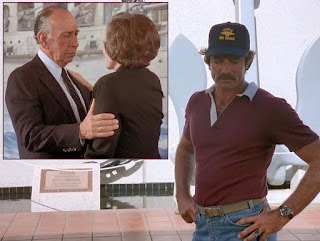 Later, just as Ferrer has paid Selleck for his services and is about to leave the island, Selleck takes him not to the airport, but to the U.S.S. 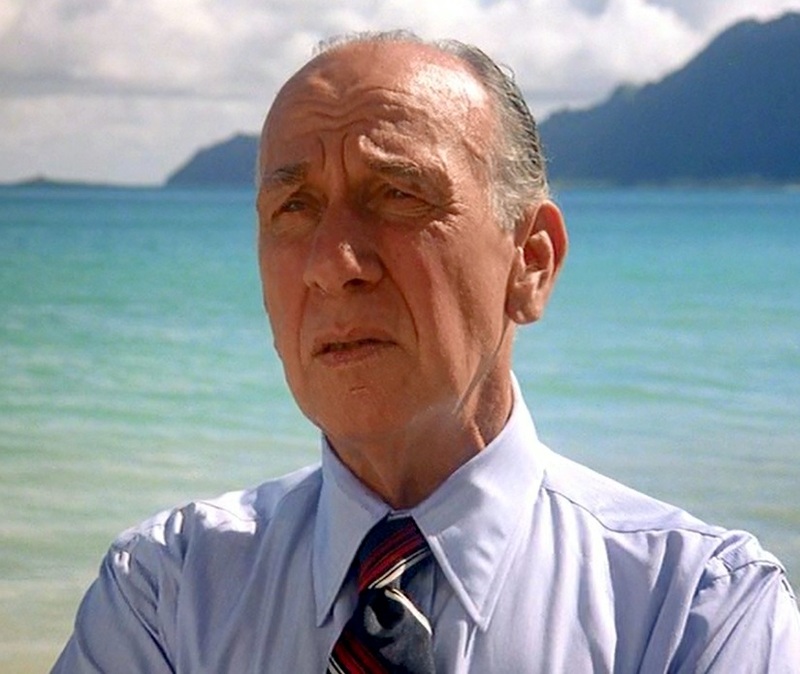 Arizona memorial where he has an emotional reunion planned for the long-separated couple. 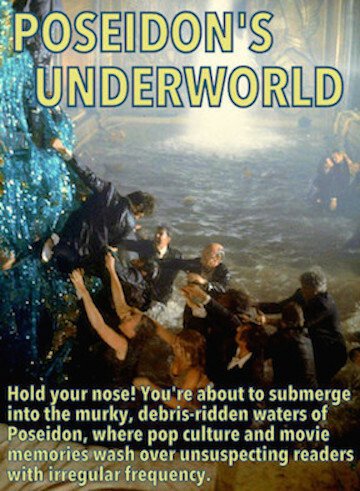 Ferrer explains to Lockhart that he left the ship prior to its being sunk and went AWOL, believing himself to be the murderer of the dance hall henchman. Lockhart explains that the man didn't die after all, so there was no murder charge awaiting him. Lockhart looks lovely throughout the episode, but in this particular scene, she is giving some highly flattering lighting and makeup. This marks the only time that Ferrer and Lockhart worked together on screen. He was thirteen years her senior, though they manage to make the relationship look reasonable. José Ferrer was a renowned ladies man, though I must say he never - even during his prime - held the slightest interest for me as an object of desire and I daresay as an actor much either, regardless of the accolades. He had two additional Oscar noms for Joan of Arc (1948), losing to Walter Huston in The Treasure of the Sierra Madre, and Moulin Rouge (1952), which went to Gary Cooper in High Noon. He lived twelve more years after this, passing away of colon cancer at age eighty. 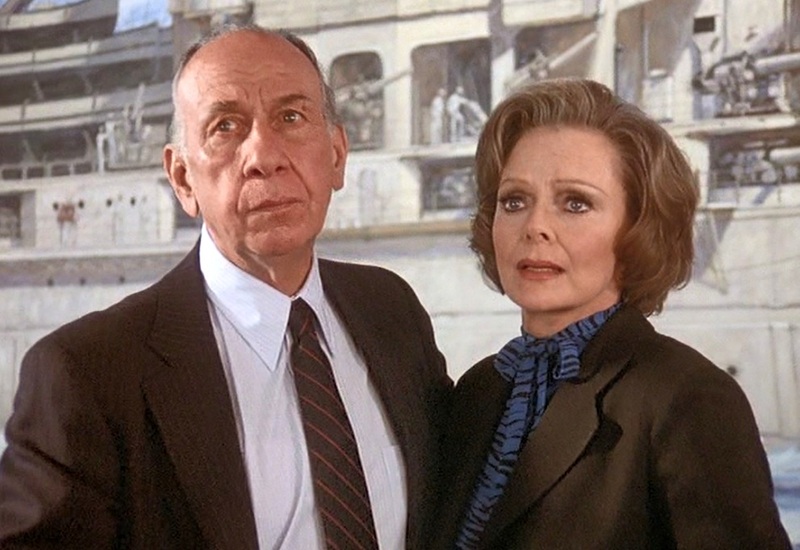 This was the very first onscreen appearance of his eldest son (with Rosemary Clooney) Miguel. Miguel proceeded to a lengthy, very busy career on TV (including Crossing Jordan) and movies (such as Robocop, 1987, The Guardian, 1990, and Traffic, 2000.) His gravelly voice was put to use in many animated projects as well until throat cancer claimed him at age sixty-one. Unlike the gentlemen, both Lockhart ladies are still with us today. Charming June Lockhart is ninety-three and acted on-screen as recently as two years ago! Having begun as a child actress in the late-1930s, she worked with some of the screen's greatest stars in enduring movies such as All This and Heaven, Too (1940), Sergeant York (1941), Meet Me in St. Louis (1944) and The Yearling (1946.) Later, she segued to TV and became known as a motherly figure on Lassie, Lost in Space and Petticoat Junction. 1950s Emmy nominations were lost to Helen Hayes and Loretta Young. I love this sort of casting. 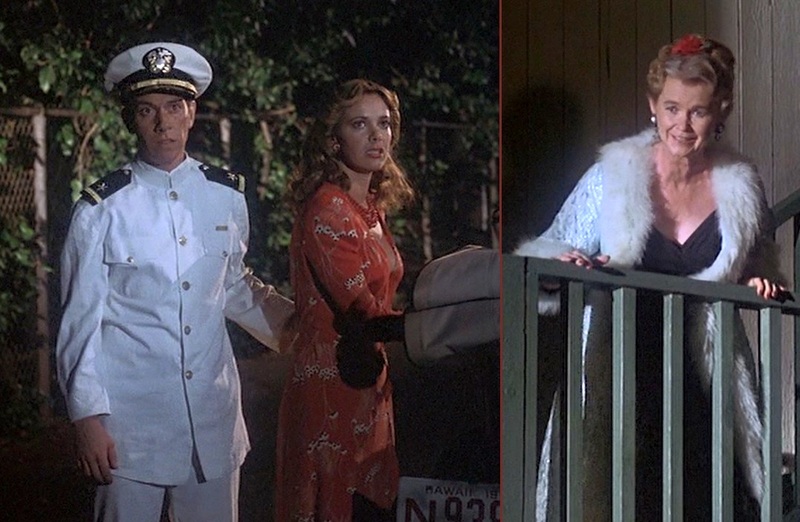 You might recall Tisha Sterling playing her mother Ann Sothern as a young girl in The Whales of August (1987), though there have been quite a few examples over the years. Sometimes it just really works, as it did in this instance. 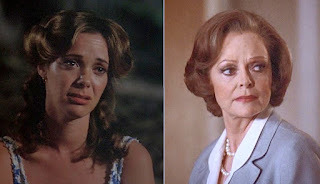 How many times have we watched a movie or show and the person in the flashbacks or early part of the story bears little to no resemblance to the older version of the character? This way, the connection is built right in, making it a family affair, doubly so in this case! Poseidon, I was never of a fan of this show either (Magnum has a whole new meaning for me now)but I found this a really fun read. 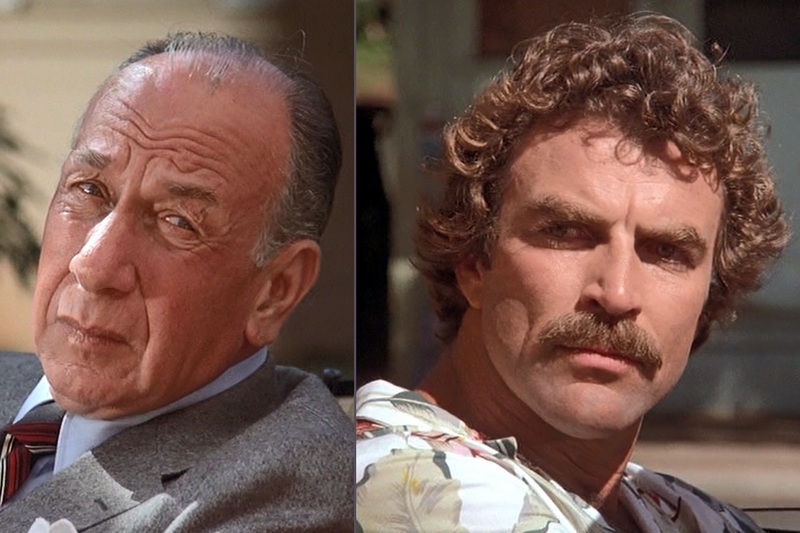 I love the idea of the parents playing an older version of a character. I can imagine Kate Hudson and Goldie Hawn very easily, or Jason Gould and Barbra Streisand (kidding!). I recently watched the very disturbing "Sharp Objects" and the actress playing a younger version of Amy Adams was perfection, It really added to the believability of the story. June is really lovely here (much prettier than in "She wolf of London") and like you, I never got the attraction of Mel. He must have been super brainy and charming as I am not getting the physical side of it. Great to find this today. OMG, so funny about "magnum" (!) and Jason/Babs. I always "love" it when a movie has a young person with one color eyes grow up into someone with different color eyes. That's a level of pubescent change I never experienced!! Ha ha! I have a feeling that Ferrer's appeal was something we never got to see, but perhaps Zsa Zsa and some other Hollywood blondes got to? BTW, I just added a photo to the post that shows young Jose and June. I'd meant to do that and neglected to earlier. Thanks!! 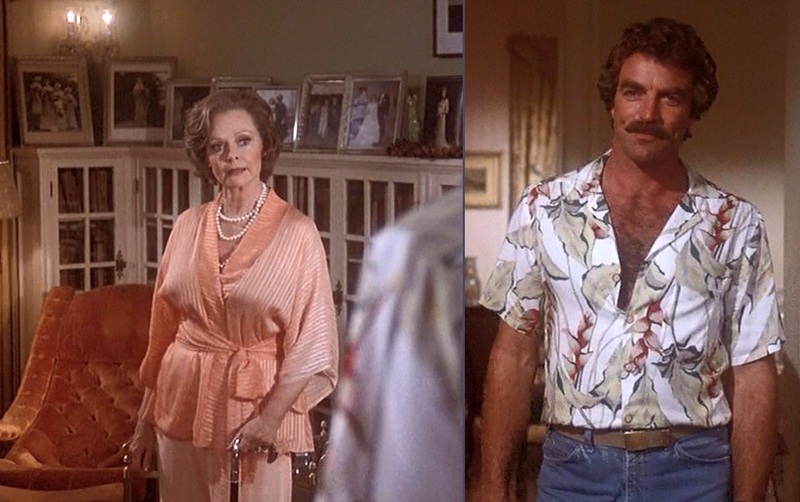 Any co-star appearing shirtless in an episode where Mr. Selleck does the same is taking a huge risk, Tom is absolute perfection! Ginge, José, not Mel for the love of Pete! LOL Ha ha! Fun find! I was never a regular Magnum watcher either but would catch an episode here and there though never this one. It does play on one of the stations daily so I'll have to keep an eye out for this particular one and DVR it. Likewise Jose Ferrer's appeal has always eluded me. To me he comes across as unctuous, pretentious and conceited. The mind reels at what a hash he would have made of Addison DeWitt in All About Eve had Mankiewicz followed through on his original intention to cast him, fortunately he went with George Sanders who is perfection in the role. 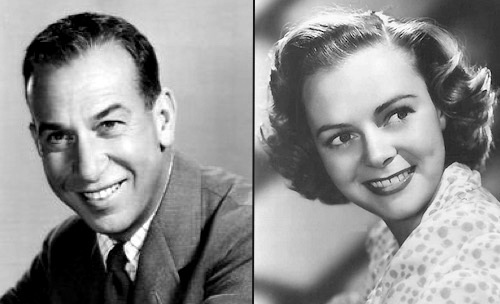 After reading Rosemary Clooney's bio, and other sources, I found him even more risible when it emerged that not only was he a shameless womanizer but quick with his fists as well, often at Rosie's expense. 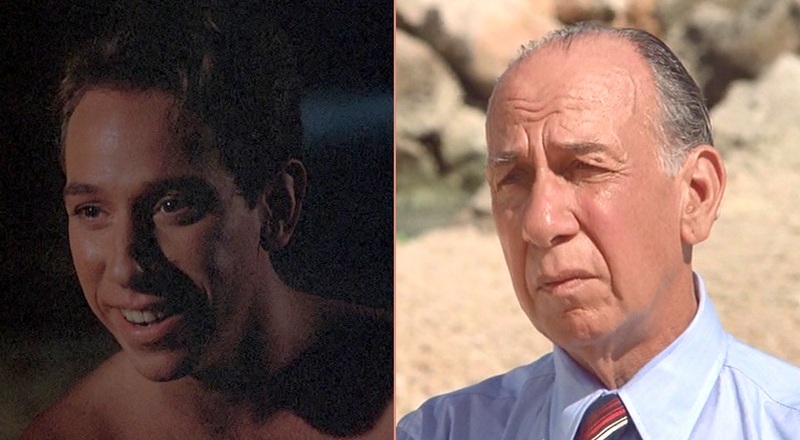 I did however like Miguel Ferrer who had an accessibility that his father never did even when he played villains. While I'm not that familiar with Anne Lockhart's work, though I've seen her in the odd thing over time, I LOVE June Lockhart! I never was much of a watcher of Lost in Space or Lassie so to me I see her and the first thing I think of is Dr. Janet Craig who came to Petticoat Junction when Bea Benaderet passed away. She was always so dignified and graceful. What has always flabbergasted me is that her father was Gene Lockhart. Now he's one of my favorite supporting actors from the Golden Age, though within the last few years I've realized he's not in quite as many films as I had thought since I confuse him often with Lloyd Corrigan (love him too), but it's a bit tough to equate the willowy June with the always solid and rotund Gene. Having seen her mother Kathleen in films she does favor her but the lack of almost any resemblance, perhaps a twinkle in the eye, is surprising. The whole concept of the children playing their parents is a great one though. So frequently a movie will have a flashback and you think "There is no way in hell that's what this person would have looked like when they were young!" and it takes you out of the movie or show. I'm right there with you, Joel. To me, George Sanders as Addison DeWitt is one of the screen's greatest marriages of actor and part and it helped lead me to do a Sanders tribute here a few years back. And Miss Clooney is from the area in which I live, so there is always interest in her, including a recent two-person play called "Tenderly," so I know all about how hideous he was, likely contributing to many of her own issues... My first introduction to June Lockhart was in reruns of "Lassie" and that series had an announcer who introduced the cast. 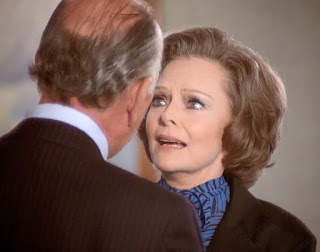 It usually went, "Starring June Lockhart..." One day, an episode had a skip or broken piece in the film and the announcer said "Starring Jockhart" and I died...! Fond as I am of her, she'll always be Jockhart in my world. Oddly enough, I haven't been able to watch much TV at all lately and Saturday morning I turned it on and there was an episode of "Wagon Train" with June as the wife of Gene Evans, but pregnant with what might be an Indian's baby thanks to her having been assaulted by one during a raid. 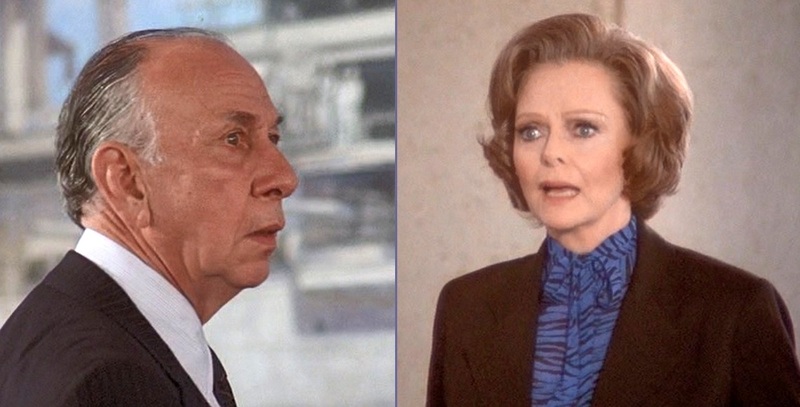 She was a surprisingly versatile actress despite being known for her matriarchal qualities.